Watch as Major Will Carr, 148th Fighter Wing Aircraft maintenance squadron commander talks about participating in the annual exercise, Frisian Flag, held at Leeuwarden Air Base, Netherlands. Frisian Flag is a 12-day NATO partnership exercise in the Netherlands that will allow all international participants of the exercise to execute training on operational tactics in a global setting with multiple coalition partners like Germany, Poland, France, and the United States who are participating in this year’s event. 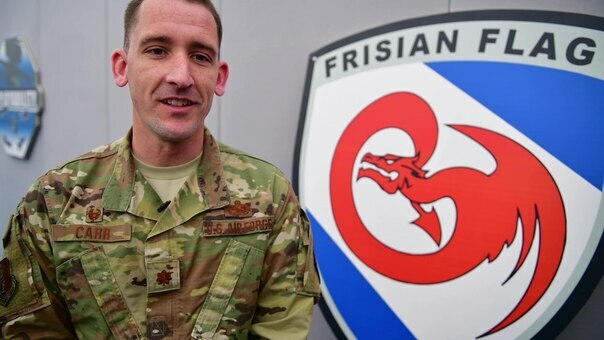 This work, Interview: Major Will Carr, by TSgt Lynette Hoke, identified by DVIDS, must comply with the restrictions shown on https://www.dvidshub.net/about/copyright.